How many of you have had dreams so Vivid it almost feels like, just for a few seconds upon awakening, that it was real and it really happened? I know I have. There are times even when I’m dreaming, and I know I am dreaming within the dream, but love the dream so much I don’t want to awaken until there is a conclusion of some sort before becoming fully awake. Funny enough it often makes me oversleep and this dream will also stay with me through out the day. I went to Web MD, found an article on Dreams and Tom Scammell, MD, associate professor of neurology at Harvard Medical School and Beth Israel Deaconess Medical Center says,”Most people dream three or four times a night, you have a period of sleep that lasts approximately 90 minutes called REM — rapid eye movement — sleep. It is during REM sleep that your brain is more active. And according to Scammell, it’s then that conditions are right for “story-like” dreams that are rich in action, complexity, and emotion, regardless of whether or not they remember their dreams. “You are most likely to recall dreams if you wake at the end of a REM episode,” says Scammell. “Americans, who are chronically sleep-deprived, probably miss out on some REM sleep. This builds up pressure for REM sleep. So when you’re catching up on your sleep, you may have more REM sleep with more intense dreams. When I do remember mine, I wonder what happened during the day before to warrant such a dream. Good or bad. If its a bad dream, Its usually because I watched something on TV or I’m having some kind of stressful personal issues. The most common, she says, are recurring and venting dreams. 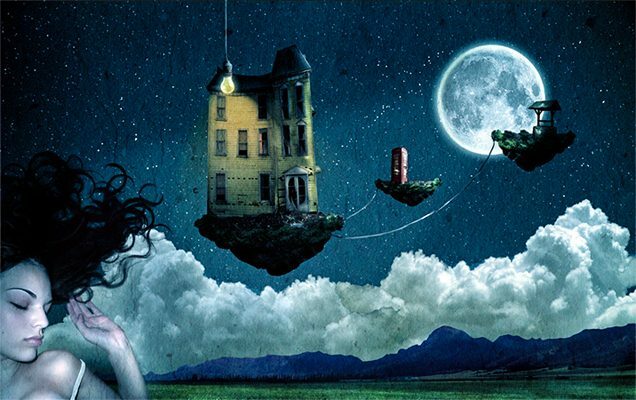 Recurring dreams can last for days, months or even years and they are the most significant as its probably your subconscious trying to tell you something. Times to be concerned about dreams are if they are post traumatic and deeply troubling to you. She then recommends seeing a therapist. If you want to remember your dreams there are tips they recommend. In a nut shell its, get enough sleep and before going to bed remind yourself that you want to remember your dreams, also have a pen and paper by your bed to write down your dreams right away upon awakening. Lastly, limit your alcohol and drug intake as these can effect your type of dreams. Hope you found this as interesting as I did and here are a few books on dreams you might enjoy. Click on the books listed below if you want to get more info or to purchase from amazon. Sometimes I have trouble getting to sleep and in order to turn off my brain, so to speak, and I listen to soothing nature sounds. Here is a video of Nature Pics and Sounds that I love to listen to on my laptop. Enjoy! Previous Being Centered. Oh what a feeling! Next Kids are Awesome at Abstract Art!